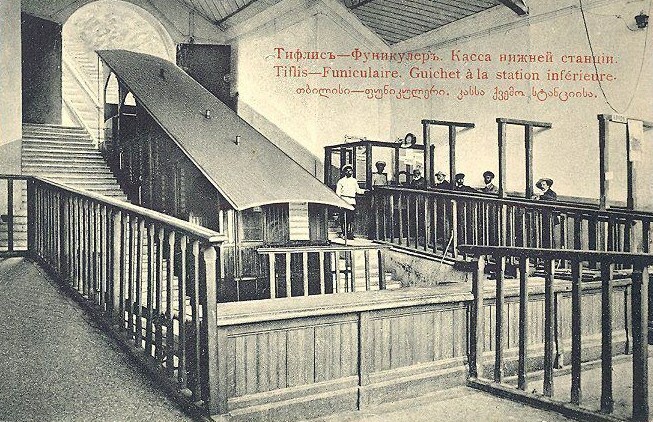 The Tiflis Funicular railway was constructed to develop the uninhabited Mtatsminda plateau that overlooks the city and was opened on 27 March 1905. The railway carriage accommodated up to 50 people and the journey time was 6 minutes. 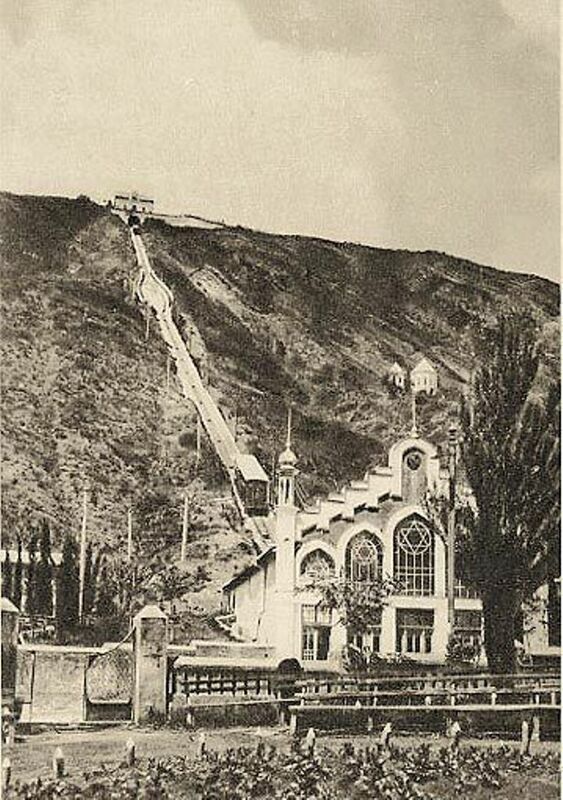 The popularity of the Funicular was further increased when an entertainment and leisure park was constructed on the Mtatsminda plateau in the 1930s. In the days of the Soviet Union, Mtatsminda Park was the third most visited public park in the USSR, Gorky Park in Moscow being number one. 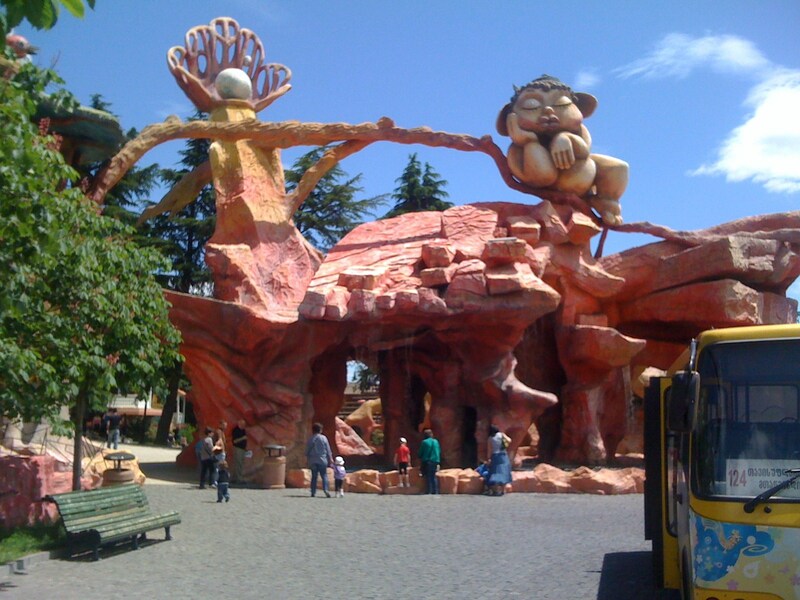 Read more about Mtatsminda Park here. 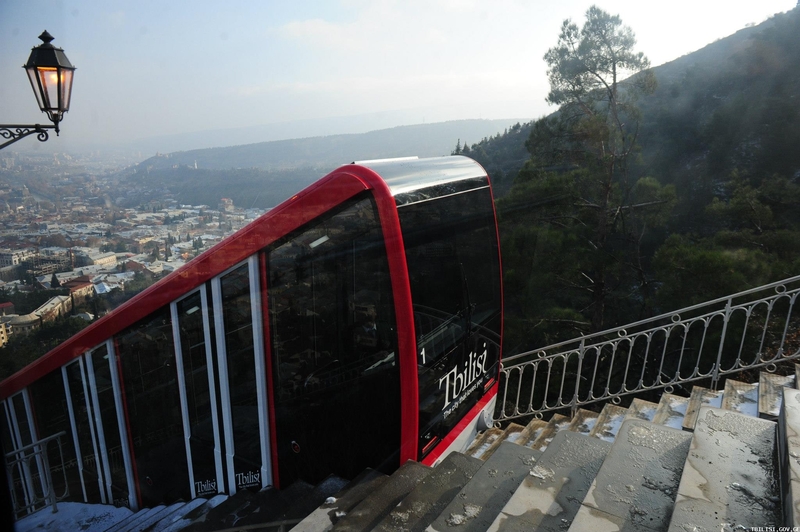 The Funicular Railway underwent several reconstructions until being replaced in 2012 with modern equipment and carriages. 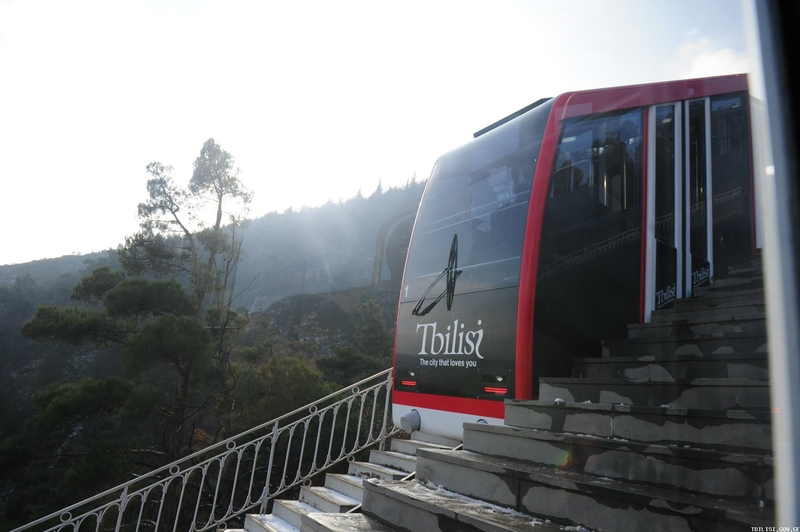 The Funicular is a great way to get to Mtatsminda Park. 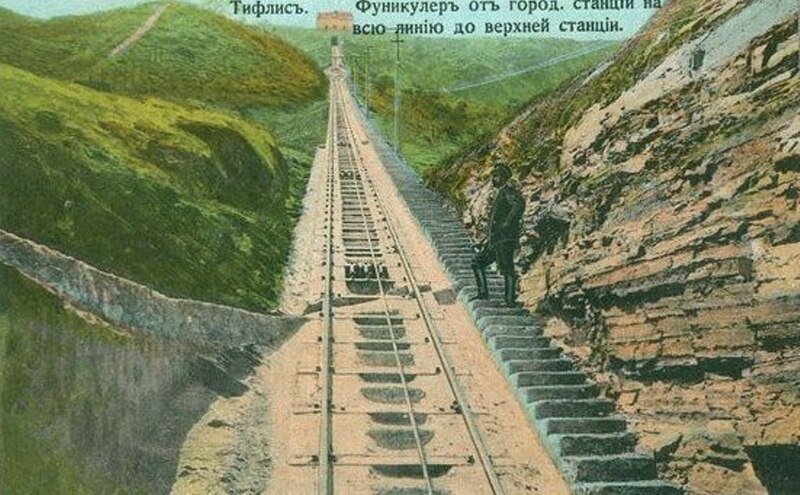 The restored station is in Chonkadze Street and the cost for a return journey is currently 2 GEL. 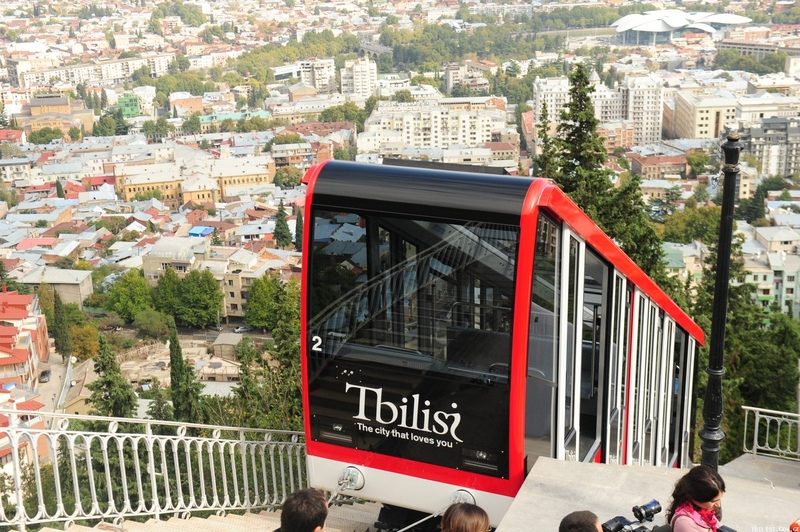 Enjoy the ride and spectacular views of the city! I am a Georgian expat living in Canada for the last 20 years. Your blog about Georgia is truly the best around! 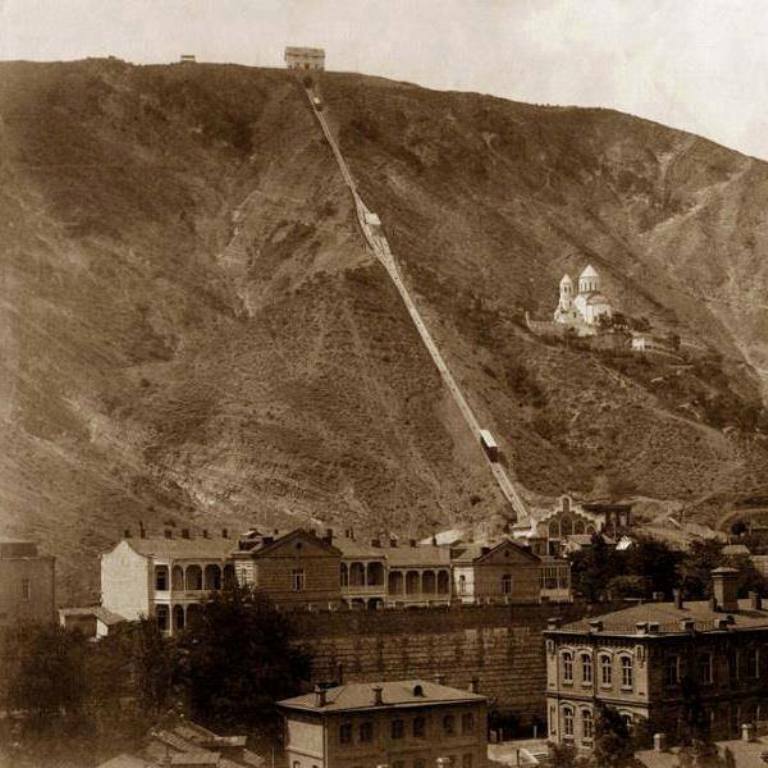 Even though I visit Tbilisi almost every year, and witness all the positive changes, your perspective is amazing! Kudos!!! Hi Vato, thank you very much for your message. It is a pleasure to share Georgia with the world. 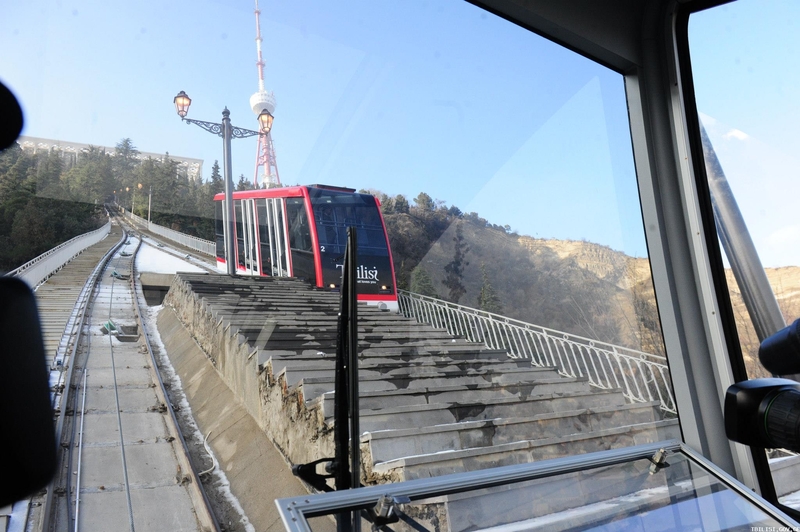 Can anyone explain why the windows in the front of the Tbilisi Funicular Railway were covered up? In one of the old pictures it looks like the windows were in a Star of David design, but now they are covered up. Would it not be best to restore those windows to their original design? 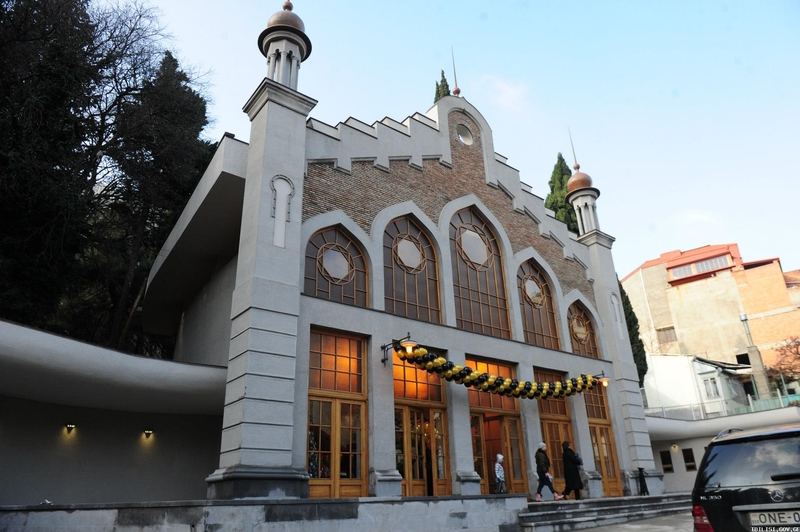 Many 19th century building in Tbilisi were built in the Moorish Revival style, which employed pentagrams, hexagrams, octagrams and other “exotic” features for stylistic purposes. 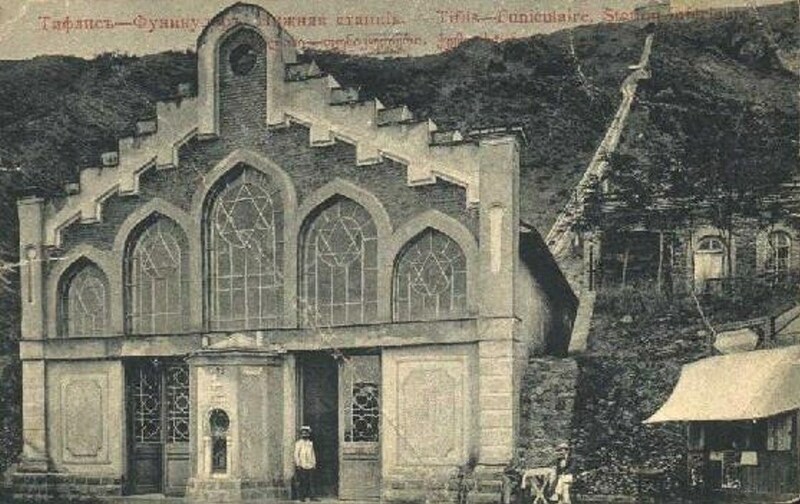 These buildings may or may not have had any Jewish connection. Most people in Georgia have no idea what Star of David is. In fact, they could easily confuse it with a pentagram or some other occult symbol, of which religious Georgians are very suspicious. At the end of the day, what difference does it make? In Israel, Georgian medieval frescoes have been vandalized and Georgian visitors are routinely treated like cattle. So why should Georgia expend energy and resources trying to preserve antiquated Jewish symbols on a building that has nothing to do with religion? It’s fine the way it is. Elizabeth what a rude answer, Can you tell me where the Georgian medieval frescoes have been vandalized? You are confused with Turkey may be? very rude answer! Thanks for those very interesting informations and great pictures; I need to have some information if you dont mind about the Mount-David or the Mtatsminda plateau … are there datchas there ?